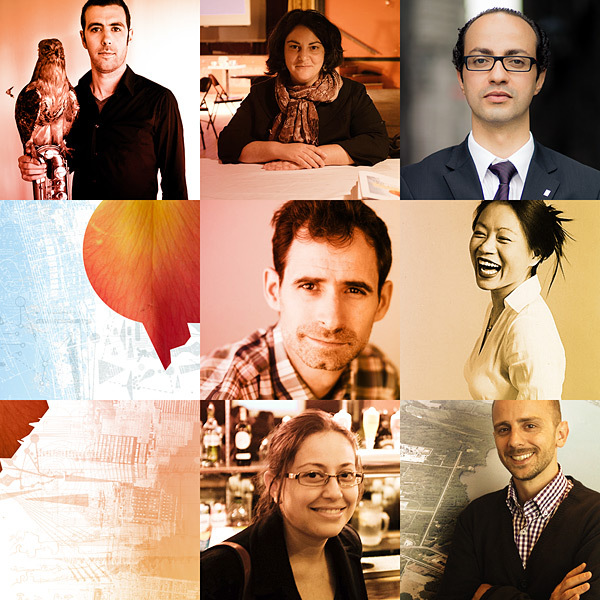 Meet our fabulous board of directors – ambassadors from the worlds of art, law, business, and technology. They combine decades of outstanding experience to create a powerhouse of networks, leadership qualities, philanthropic activities and civic duties. In 2012, Aiyun Huang (President/percussionist), Cassandra Miller (Secretary/composer) and Kamal Saoud (lawyer) were joined by two additions from the Conseil des arts de Montréal’s “GO-CA” board development program: Edith Hitt (Treasurer/accountant) and David Tournier (currently of IFFCO Canada). In 2013, we were delighted to welcome our two newest board members: Philippe Caya (Tamaggo) and Jason Sharp (saxophonist and co-founder of Naada Yoga). Innovations en concert is proud to be able to work with this fantastic team to bring the very best in creative music to Montreal!